Leadership Learning Group works in partnership with your organization to maximize talent and organizational effectiveness. We value, respect and appreciate our client relationships! When we engage with you, we take the time to truly understand your mission, vision, culture and business philosophy, so that we can offer programs and services that deliver long-term results. Our team of learning and development professionals offer expertise across the human resources and learning and development spectrum, and have a proven track record of success across multiple industries. Laura McNerney is Chief Executive Officer of Leadership Learning Group. Laura is a highly skilled and experienced organizational development professional, trainer and human resources executive. She has engaged leaders and teams across a wide spectrum of industries including healthcare, hospitality, finance, government, not-for-profit, professional services, consumer products and retail. Laura facilitated her clients to recognize and maximize their talent, build bench strength and optimize their organization’s effectiveness. Laura has also implemented strategic initiatives for many of her clients that have been adopted as best practices in national and global companies. Over the last 18 years, Laura has directed the learning and development division of Hospitality Resource Group, Strategic Training Solutions. During her tenure, the company received global recognition as the recipient of the IAAPA Spirit of Excellence Award for Training and the IACC Award of Excellence. Hospitality Resource Group was also the recipient of the Business Council of Westchester Entrepreneurial Success Award. Prior to joining HRG, Laura held the position of Vice President of Human Resources for Doral Hotels and Resorts and was responsible for the human resources and learning and development functions for the company’s portfolio. 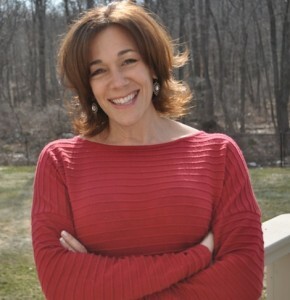 Laura is a board member of the Southern Connecticut Chapter of the Association for Talent Development. She holds a Bachelor of Arts degree in Political Science from the College of the Holy Cross and completed a Professional Certificate in Human Resources Management at the University of California, San Diego. Outside of work, Laura enjoys jogging, cooking, gardening, volunteering, and most of all, time with her two sons, Connor and Ryan.